To start, we cut a few bunny images from Stencil Material with our Silhouette Cameo. This electronic cutter has made DIY projects quick and easy, and we recommend it to everyone. If you don't have a cutter handy, you can print clip art and use it as a stencil to hand cut the vinyl or stencil material. Place the solid image onto your mason jar. 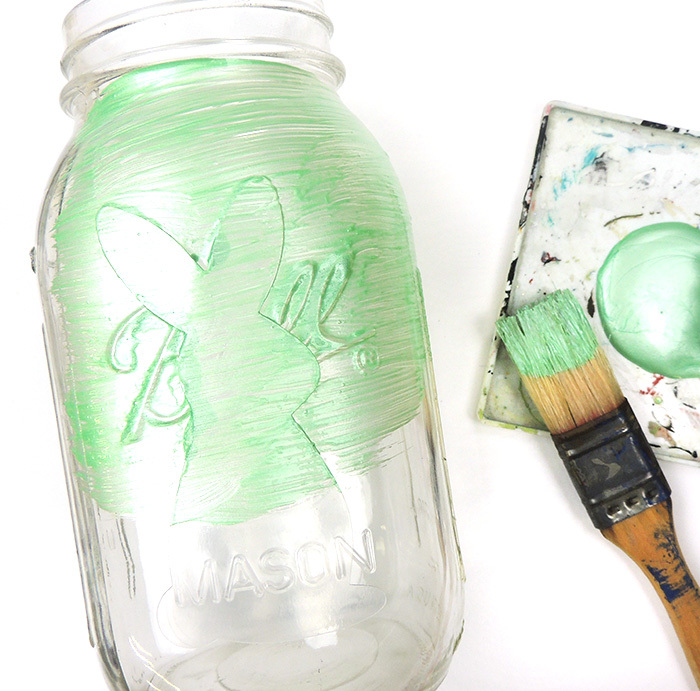 Paint the entire mason jar surface, overlapping the mask. 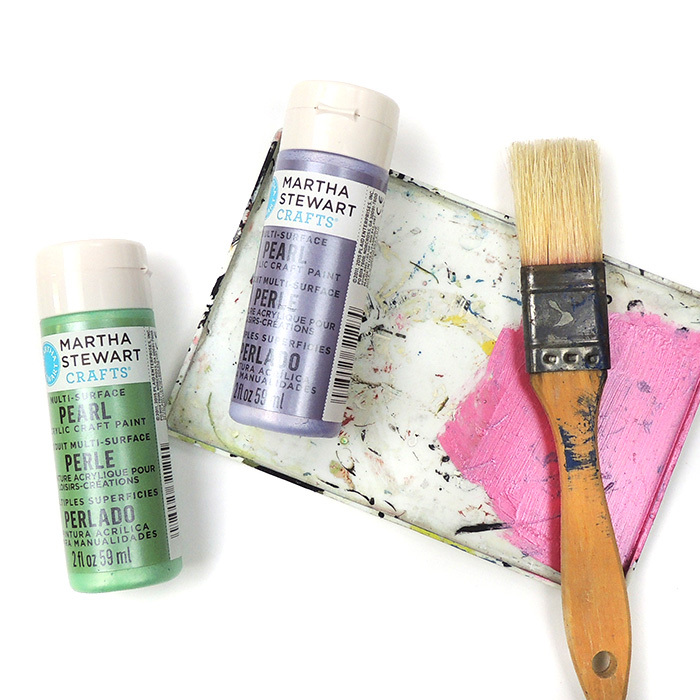 Spray paint would speed up the drying time; however, we loved the look of this metallic paint from Martha Stewart Crafts. Wait a few minutes for the paint to set, and carefully peel off the mask. 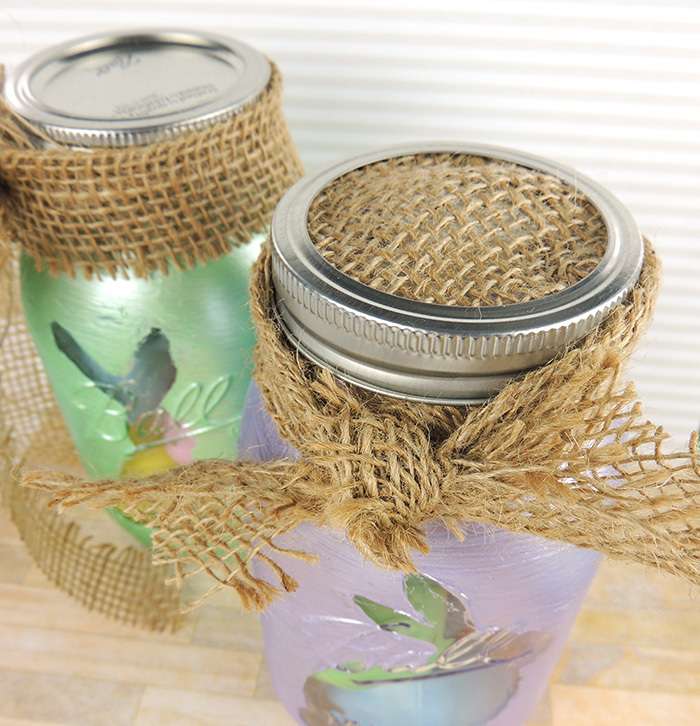 Paint the jar cover or add ribbon, fabric, or burlap to decorate the jar. Fill it up with your favorite candies or decorative eggs. 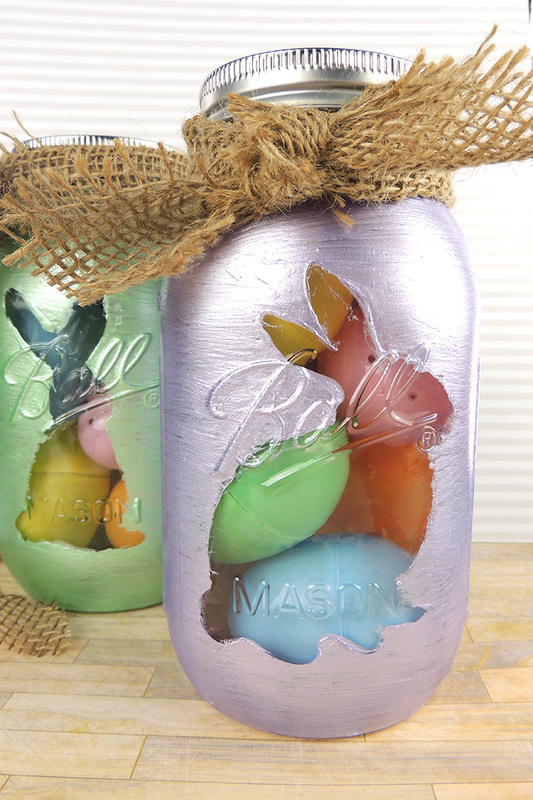 In just a few, short steps, you have an adorable gift, Easter basket, or Spring decor.